18--, Missouri. 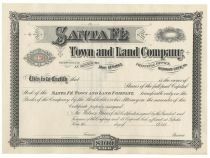 Unissued stock certificate. Black / White.